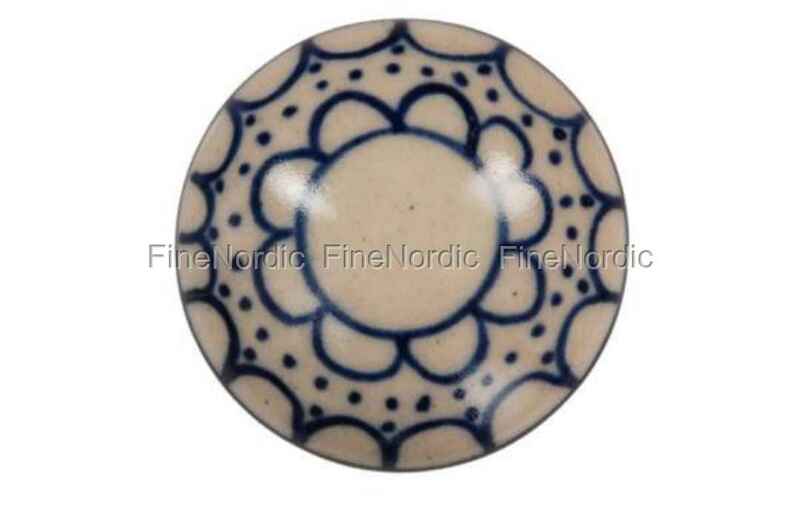 This white porcelain knob with blue pattern from La Finesse has a diameter of 3.5 cm. Once it’s attached to a door or drawer, it sticks out about 3.5 cm. Its total length, including the screw, is 7 cm. It’ll be a nice embellishment on a white or blue piece of furniture and will add some character to a room, no matter which one the furniture is placed in. A porcelain knob is a pretty inexpensive way to freshen up the appearance of on old wardrobe, chest of drawers or cabinet. Do you have more than one DIY project waiting at home? Then also have a look at all the other porcelain knobs we have available in our web shop.